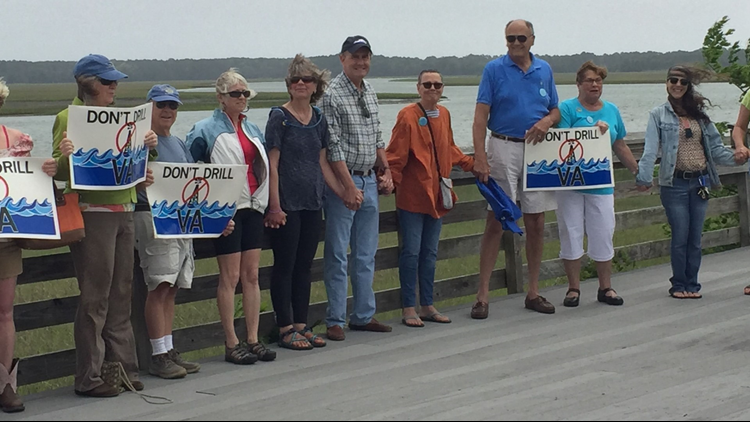 About three dozen Eastern Shore of Virginia residents attended an event on Saturday, May 20, 3017 in Willis Wharf, Virginia to protest offshore oil and gas drilling. 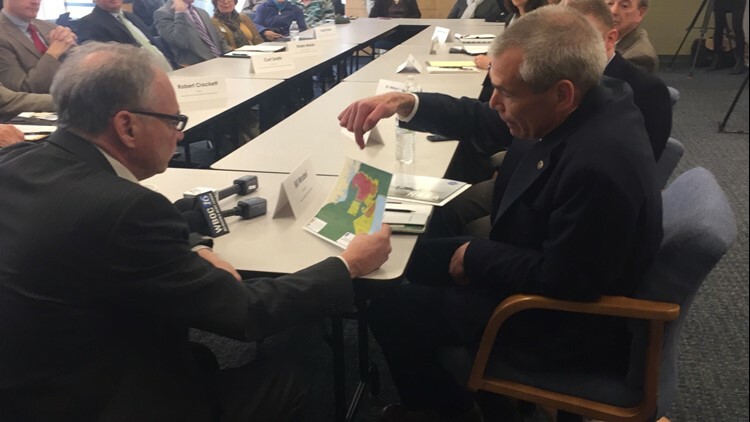 WACHAPREAGUE, Va. (Delmarva Now) -- Initiatives are underway in Virginia by both a pro-drilling coalition and an environmental group that wants to stop the expansion of offshore drilling and seismic blasting in the Atlantic Ocean. 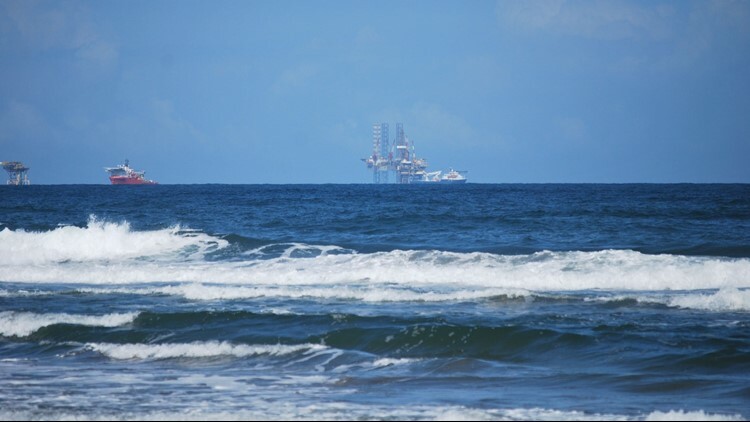 Oil rigs in the southern Gulf of Mexico, seen from Varadero Beach in the Mexican state of Tobasco.